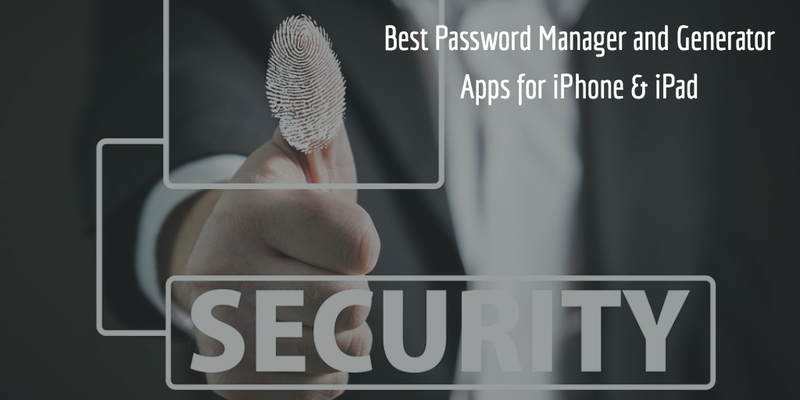 Are you looking for the best password manager and generator app for your iPhone and iPad? Here, you can see 18 best password manager and generator apps for iPhone and iPad. With the help of these best password manager apps, you can keep your important informations safe and secure such as logins, credit card numbers, PIN's and more, you can secure your personal data and, you can also organize your all passwords in a single platform. 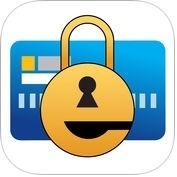 1. eWallet - Password Manager ( iPhone + iPad ) :- eWallet is one of the best and perfect password manager and generator apps for iPhone and iPad. This password manager app has lots of amazing and user-friendly features such as more than 250 bit-military-grade AES encryption, Touch ID and Face ID support for secure yet convenient access on compatible devices, optimized for large and high resolution screens, sync your data seamlessly through cloud or Wi-Fi, random password generator to keep your login details safe and secure, auto-locking and much more. With the help of eWallet app, you can backup your datato iCloud or Dropbox, you can store bank accound, insurance and personal details and, you can keep all your info close at hand & secure and, you can also create and sync multiple wallets between computers and devices. 2. mSecure Password Manager ( iPhone + iPad + Apple Watch ) :- If you want to keep your data safe and secure, you can use mSecure Password Manager app on your iPhone, iPad and Apple Watch. mSecure app has several powerful and unique features such as auto-lock to protect the app from prying eyes, password generator to create un-guessable passwords, auot-backup reminder and email backup to keep data safe, optional self-destruct if hacker attempts to guess your password, sync everywhere cloud data protection, more than 270 icons to personalize your records, sort by name, type and modified date, mark any record as a favorite for fast access, sharing of records through email, SMS or clipboard and, much more. 3. 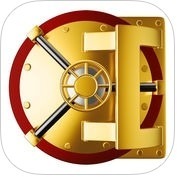 Password Manager Data Vault - Safe, Secure, Wallet ( iPhone + iPad ) :- Are you looking for one of the best and advanced password manager apps? 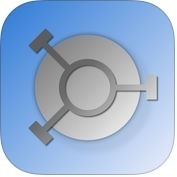 If yes, you can use Password Manager Data Vault app on your iPhone and iPad. 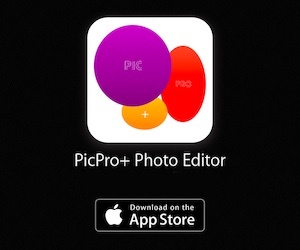 This powerful app has lots of fantastic and user-friendly features such as automatic backup, password generator, advanced security options, iCloud sync, AES encryption, Touch ID, set a hint in case you forget your master password, login into websites automatically using DataVault Browser or Safari and, much more. With the help of Password Manager Data Vault app, you can generate strong passwords with settings for lenght and types of characters, you can use iCloud, Dropbox or Wi-Fi to synchronize, you can view items in list view or folder view, you can use categories and types to organize items and, you can also choose from 50 default templates or create your own. 4. 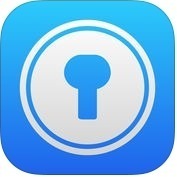 Password Manager Keep Lock ( iPhone + iPad ) :- With the help of Password Manager Keep Lock app, you can profect your confidential information like-account numbers, usernames, passwords, credit card info etc, you can email, copy, cut, paste or delete multiple files or folders at a time, you can backup and restore your data through iCloud, Dropbox, or Wi-fi and, you can also share records through email or clipboard. 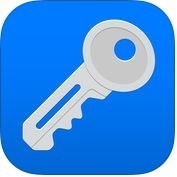 Password Manager Keep Lock has several amazing and powerful features such as supports password lock, dot lock or Touch ID, powerful password generator to create un-guessable passwords, more than 235 icons to personalize your records, passoword hide or reveal, links, phone numbers and email addresses can be activated by touch and, much more. 5. PasswordWallet - Password Manager ( iPhone + iPad ) :- If you want to find backup, restore and view your data with any computer, you can install PasswordWallet App on your iPhone and iPad. With the help of PasswordWallet app, you can unlock your wallet with your figerprint, you can open on any computer with no special software, you can easily sync between Macs and Windows versions of this app, you can safe and secure your passwords, usernames, PIN numbers, combinations and personal data and, you can even edit entries while navigating a site. 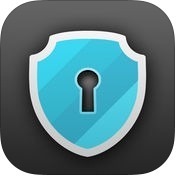 6. oneSafe 4 password manager ( iPhone + iPad + Apple Watch ) :- With the help of oneSafe4 password manager app, you can protect your confidential information with AES-256 encryption and, you can protect your passwords, documents, photos, credit card numbers, bank account details, PIN codes etc, you can even sync your secured info across various devices through iCloud Drive or Dropbox, you can easily create browse and edit your items, you can change the texture, icon and color for any of your items and, you can also use the bullet-proof "Secure sharing" feature to share your confidential data with your family, friends or colleagues. 7. PassSafe - save&store account password manager ( iPhone ) :- Do you want to prevent your data from hacker's attacks? If yes, you can use PassSafe app on your iPhone. With the help of PassSafe app, you can unlimited storage for your accounts, passwords and photos, you can keep your passwords safely and rapidly and, don't worry forgetting any of them, you can save to local or backup to the cloud drive, you can login at one finger tap and, this app also encryption for your entire database. 8. 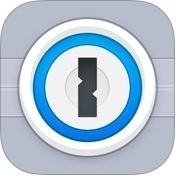 1Password ( iPhone + iPad + Apple Watch ) :- 1Password is one of the best and effective password manager and generator apps for iPhone, iPad or Apple Watch. With the help of 1Password app, you can create strong, unique passwords and memorizable pass-phrases for your online accounts, you can access your information on all your iOS devices and computer, you can fill usernames, passwords, credit card numbers and addresses into websites, you can organize your information with tags and favorites, you can unlock the app quickly and securely with Touch ID, you can get alerts when a site you use has been compromised and you need to change your passwords and, you can also share passwords, documents and more with teammates and family members. 9. 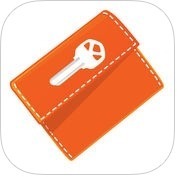 Keeper Password Manager ( iPhone + iPad + iMessage + Apple Watch ) :- Keeper Password Manager app is one of the best and popular password manager apps for iPhone, iPad, Apple Watch. With the help of Keeper Password Manager app, you can protect your personal and professional information from hackers and cybercriminals, you can create and stores strong passwords and, auto-fills them on any of your devices, you can protect unlimited passwords in your vault, you can generate strong passwords, you can access and sync your passwords from any of your devices, you can lock files and photos in your secure vault, you can organize passwords with folders and categories and, you can do much more. 10. 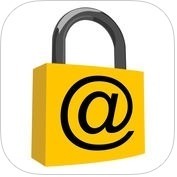 Norton Identity Safe ( iPhone + iPad ) :- If you want to securely manage your passwords and access your favorite sites quickly, you can install Norton Idendity safe app on your iPhone and iPad. With the help of Norton Identity Safe app, you can save all your usernames and passwords and, syncs them across your devices, you can create secure like credit cards and bank accounts, you can store secure notes, you can save addresses and credit cards for faster online checkout, you can open your Vault faster from your iPhone or iPad and, you can also create strong, unique passwords with a built-in password generator. 11. LastPass Password Manager ( iPhone + iPad + Apple Watch ) :- If you are looking for one of the best and advance featured password manager and generator apps for your iPhone, iPad and Apple Watch, you can use LastPass Password Manager app on your iOS devices. 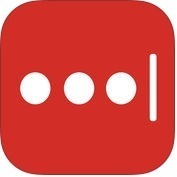 With the help of LastPass app, you can store all your usernames and passwords for all of your online accounts securely, you can sync all of your passwords and logins across all your devices, you can use Touch ID to access your Vault, you can create secure passwords using the built-in password generator, you can organize sites by folders in your Vault, you can safely and conveniently share passwords with others and, it also automatically fill in your name, address, credit card info with form fill. 12. 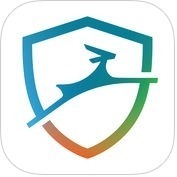 Dashlane Password Manager ( iPhone + iPad + Apple Watch ) :- Do you want to save and organize all of your passwords in one safe place? If yes, you can use Dashlane Password Manager app on your iPhone, iPad and Apple Watch. With the help of Dashlane app, you can generate unique, secure passwords for all of your accounts, you can store important information and security codes with secure notes, you can organize and store credit cards securely in your mobile wallet, you can keep your receipts under lock and key in the payments section, you can protect your passwords with AES-256 security encryption and, you can also get alerts when a site you use has been compromised and, you need to change passwords. 13. 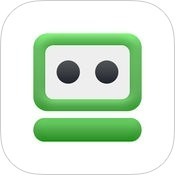 RoboForm ( iPhone + iPad ) :- If you want to keep all your passwords in one place, you can install RoboForm App on your iPhone and iPad. With the help of RoboForm app, you can protect your data with AES-256 encryption, you can store Wi-Fi passwords, you can view and edit your logins, you can keep your passwords in sync across all devices and computer, you can securely access your address and payment info for one click online checkouts, you can fill long checkout forms with one click and, RoboForm app generate unique and hard to guess passwords for each site rather than using the same password everywhere and, it also support for multi-step logins. 14. Enpass Password Manager ( iPhone + iPad ) :- Enpass Password Manager is one of the best and most secure and cost-effective password manager and generator apps for iPhone and iPad. 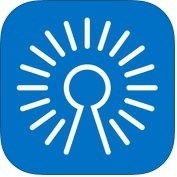 Enpass app has lots of unique and advance features such as supports Touch ID and Safari browser extension, quick unlock using Touch ID and PIN code, backup or restore over Wi-Fi, amazing customizable, stores everything using vast range of preset templates, helps to create strong and unique passwords, auto-locking and, much more. With the help of Enpass app, you can sync securely across your devices via Dropbox, iCloud, Google Drive, OneDrive and Box, and you can also import data from other popular password manager through the desktop versions. 15. Surepass Password Manager ( iPhone + iPad ) :- If you want to scan your passwords to identify weak passwords or duplicate passwords, you can use Surepass Password Manager app on your iPhone and iPad. With the help of Surepass Password Manager app, you can keep your passwords locally offline and away from hackers, you can sync multiple devices locally with AirDrop, you can secure your passwords with AES-256 encryption, you can easily search, sort and group of your passwords, you can easily access to passwords using the Touch ID fingerprint scanner on supported devices and, you can also import or export passwords with AirDrop. 16. 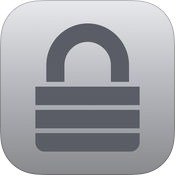 MiniKeePass ( iPhone + iPad ) :- MiniKeePass is one of the most popular, effective and user-friendly password manager and generator apps for iPhone and iPad users. MiniKeePass hs lots of fantastic and unique features such as import or export files to and from Dropbox using the official Dropbox app or any other cloud storage app, copy password entries to the clipboard for easy entry, generate new passwords, prevent unauthorized access to this app with a PIN or Touch ID, integrated web browser with username or password auto-type and, much more. 17. 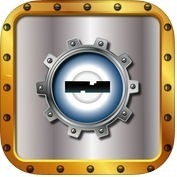 Password Manager: Passible ( iPhone + iPad ) :- With the help of Password Manager-Passible app, you can run an automated analysis of all your passwords, you can peek at your passwords and credit card's pincode with just a slide of the finger and, you can also secure your data with AES-256 bit encryption. Passible app has several amazing and advance features such as logins and passwords, Touch ID, rapid search, theft protection, secured device data, encrypted data stored on your device, encryption through a long auto-generated string and, much more. 18. True Key by Intel Security ( iPhone + iPad ) :- If you are looking for one of the best and secure password manager and generator app for your iPhone and iPad, you can install True Key app on your iPhone and iPad. With the help of True Key app, you can store and automatically fill in your password details, you can sync to all your devices and have your information on hand, you can access your profile in a flash and, much more.